SFR, Inc. :: View topic - Rules for Dragon Champion Promo dice. Posted: Sat Dec 31, 2016 5:09 pm GMT Post subject: Rules for Dragon Champion Promo dice. Hello everyone. I was cleaning out my garage and found my old TSR Dragon Dice™ Collection. I remember having a ton of fun with this game and have most of the inserts and basic rules for the game, but found I'm missing the inserts for the large promo dice. It would be awesome if someone could point me in the right direction for finding the rules for these. I have hopefully attached a picture below of what I am specifically looking for help with. Thank you all for any help. The rules for those have changed over the years. Download our rules from the Dragon Dice™ page, and you will see the rules for those. The top die is a Dragonslayer, the second one down is a Red Dragon Master, and the bottom one is a Red Dragonkin Champion. Thank you for the information. 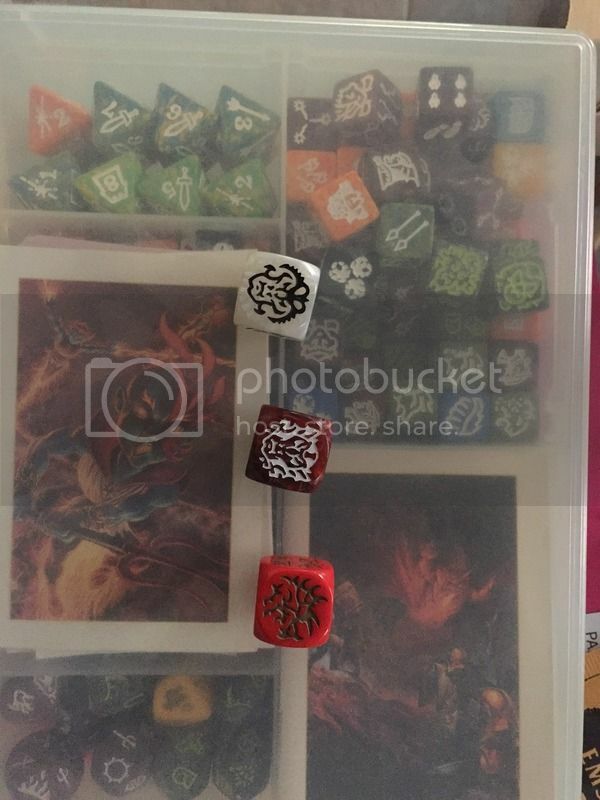 I never did play any games with the Promo dice. I guess the white one is useless with my collection because I don't remember there being white magic available to me. I originally stopped playing after the undead; however, I really liked playing with them. Thank you for the clarification. I assume I could only field the Dragon Master in a Lava Elf Army, because of the color?